Spurs head coach Mauricio Pochettino. 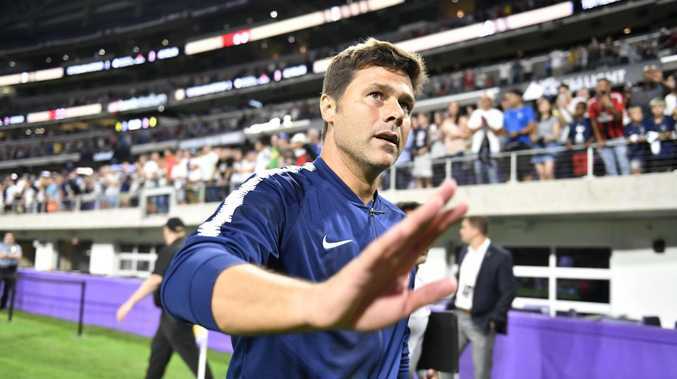 TOTTENHAM manager Mauricio Pochettino has highlighted Brexit and the cost of their new stadium as reasons why the club did not make a summer signing. 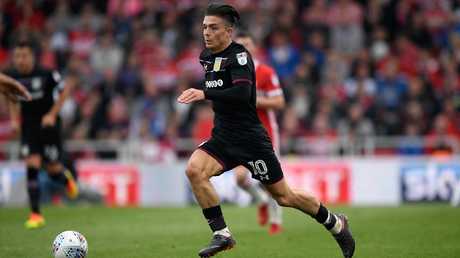 Spurs failed to sign Jack Grealish on Deadline Day as Aston Villa stood firm on their refusal to sell at any price. It meant Spurs became the first ever Premier League club not to make a summer signing since the transfer window's inception in 2003. Pochettino has labelled the club "brave" for their stance, stating his satisfaction at securing new deals for players including Harry Kane and Hueng-min Son. The Argentine also added that while their stadium cost "nearly $1.7bn", Brexit's effect on the pound against the Euro has made for a "30 per cent" increase when looking to bring players over from the continent. 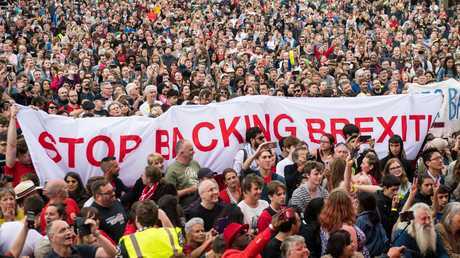 A banner is held up before Jeremy Corbyn speaks to crowd outside White Hart Lane. "What the club is doing is showing it is so brave," he offered. "Building a new training ground, finishing this summer the (player's) lodge was a massive investment. "Building a stadium that is nearly $1.7bn. That is true, don't believe in £400m, that is the truth. Then with Brexit it's worse because the cost is 30 per cent more. That is a drama, I feel sorry for the English people. "For me [that] is to be brave. Of course maybe in the mind of everyone they will say, 'Oh Tottenham didn't sign', but to sign for the sake of signing? 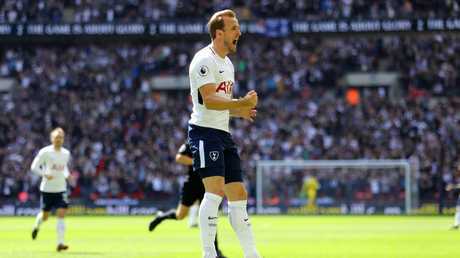 Harry Kane of Tottenham Hotspur celebrates after scoring against Leicester. "You need to respect all the opinions but of course we are a club that our decision was not to sign, (even though) it is the fashion to sign or because we are the only club in Europe that has not signed players. "That maybe looks bad because of the perception and because of the history of football, but that is our decision - to keep the best players and to keep the squad. 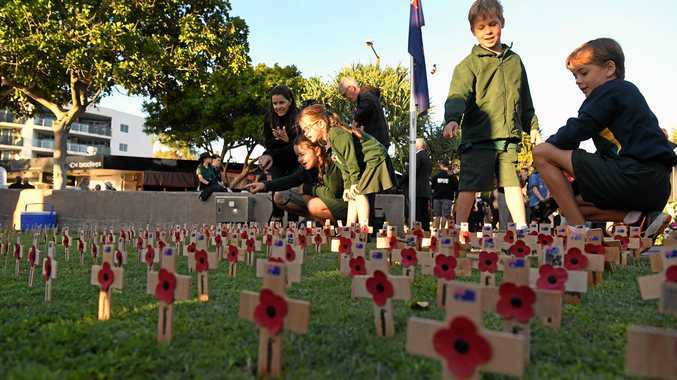 It's a brave decision." 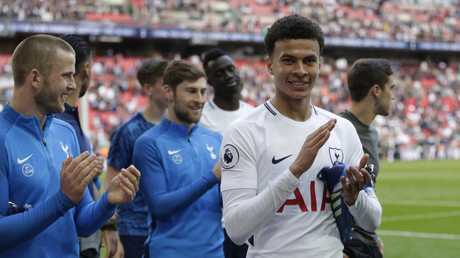 Tottenham finished third in the Premier League table last season, 23 points behind Manchester City, who brought in Riyad Mahrez for a club-record $104.5m over the summer. Dele Alli of Tottenham Hotspur shows appreciation to the fans. Meanwhile, Liverpool have invested heavily in their pursuit of a first Premier League title, spending more than $296m on new additions. The tonic to that lack of transfer activity is that Spurs have been able to keep all of their top stars, with a number of them tied down to new deals. Pochettino has refused to panic, insisting he has a very competitive squad ahead of their league opener at Newcastle. "I don't feel the panic in football. Some people make a drama in football and drama for me is another thing," Pochettino added. Spurs failed to sign Villa player Jack Grealish despite countless big-money offers. "Football is a game where you need to be clever in how you set your principles, your strategy to try to win the games. Never a drama. This story boriginally appeared on Sky Sports and was edited with permission.